1 - Do Something. Quit making excuses, and get started doing something. Don't know what to do to get started? Want to prep, but feeling overwhelmed? As the saying goes, every journey begins with a single step. As long as you are doing something to get ready for the bad times ahead, you'll be better off than most of your friends and neighbors who are dong nothing. If you really have no clue as to where to start? Check out my article A quick, no frills, down & dirty guide to preparing for the End. Pick something easy, like putting together a week's supply of food and water, and do it this week. Congratulations on your first step. Want a more detailed step-by-step guide to getting prepared? 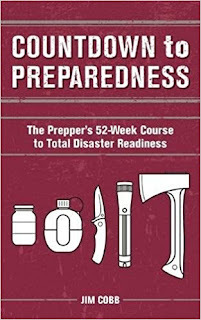 Jim Cobb's book Countdown to Preparedness: The Prepper's 52 Week Course to Total Disaster Readiness may be perfect for you. 2 - Strive for Balance. Don't concentrate all your efforts into only one or two categories of prepping, such as guns & ammo or gold & silver. Sure. Do those, but do other things, too: Get your finances in order, pay off debt, learn first aid, take some permaculture classes, take some home repair courses, buy hand tools and gardening tools, make your home energy efficient, accumulate food, water, medicine and other supplies, take a defensive shooting course, improve your home security, and plant a garden and some fruit & nut trees in your backyard. In other words, spread your prepping efforts over a wide-range of categories. New to the self-reliant, do-it-yourself, lifestyle? Check out my article on how to put together a Basic Starter Tool Set. 3 - Avoid/Get Out of Debt. In my opinion, next to not taking care of your health, the biggest mistake you can make as a prepper is to go into debt to pay for all your great new gear, guns, and supplies. Find ways other than maxing out your credit cards to prepare. And if you are in debt, find ways to pay it off. Remember the proverb "The debtor is slave to the lender." Too much debt causes stress and bad decisions, yields control of your life to others, and interferes in your ability to make needed preparations. My article Prepping 101: Finances - Get Back to Basics if full of tips and ideas on personal finance & prepping. If you are already struggling with debt, I highly recommend Dave Ramsey's website, books and radio show. 4 - Learn By Doing. Book learning is useful, but the best preparation for difficult times by actually doing things now - gardening, hunting, fishing, camping, hiking, canning, sewing by hand, doing your own home & auto repairs... Here's a great idea: volunteer to help build a house with Habitat For Humanity. You will learn lots of useful skills while actually helping people in need. Also, check out local gardening clubs for both training and volunteer opportunities. Put all that theoretical knowledge you've been collecting to use now, and develop the actual skills and experience you will need later on. 5 - Pay Particular Attention To Your Health and Fitness. If you aren't taking serious care of your health and fitness, you are not preparing. Improving your health and fitness can be done at any age, and should be one of your top priorities. Check out my article Steps to Good Health for a lot of great ideas and resources on health and fitness. 6 - Always have a Plan B. And a Plan C is nice, too. My primary plan is to ride out whatever comes where I am at now. That is where I am putting most of my efforts and resources. But I also have a back-up plan (three actually) in case things become too dangerous to stay where I'm at now for whatever reasons. I've even pre-positioned some supplies at two of the three locations. And I have figured out (and actually driven) at least two alternative routes to each of those locations, in case one of the routes were blocked for some reason. Don't just have back-up plans for your location. Have them for accomplishing various tasks, too. For example, your plans for water may include 1) your current primary source, 2) stored water, 3) a nearby creek or pond, plus having the ability to filter and purify it, and 4) collecting rainwater, plus having the ability to filter and purify it. 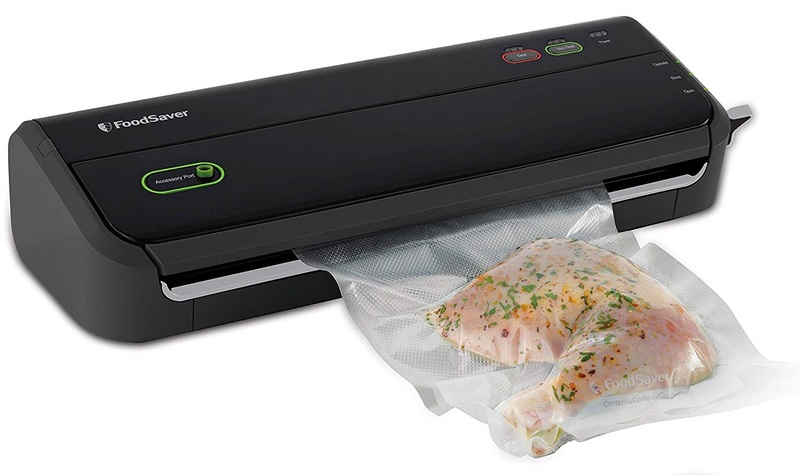 Do the same for other tasks, such as cooking (regular stove, propane grill, charcoal grill, wood stove, etc. ), staying warm (natural gas, electric heaters, propane heaters, fireplace, wood stove, plenty of insulation & warm clothes, etc. ), and so forth. Have multiple back-ups for every task/system. 7 - Be Part of a Community or MAG. Sorry, but most lone wolves won't survive over extended periods. No one has the endurance and strength to do everything by themselves 24/7/365. We all need other folks for mutual aid and comfort. I wrote about this in more detail in my recent article Why Survival Requires Community. This article is a follow-up to yesterday's semi-humorous, but with a serious point, article: How to FAIL at Prepping. My wife/husband/mother-in-law won't let me. If an asteroid hits my homestead/bug-out location, I'm doomed regardless. I trust the government, and look forward to spending time in a FEMA camp. 2) Only do the fun parts of prepping. Guns & ammo and gold & silver are fun ways to prepare. Why bother doing all that other stuff? Spend a whole day taking a first aid course - too boring. Lose weight & get into shape - too hard. Move out of the Big City- too scary. Buy land and set up a homestead - too expensive. I just want to have fun! 3) Ignore your finances/Go into debt. Drain all your savings and max out those credit cards buying lots of guns and ammo, high-end knives, multi-tools, and other neat gear. After all, once the economy tanks for good, they'll be no bill collectors to worry about. It like FREE money!!! 4) Spend all your time reading books and watching videos. Don't waste your time planting a garden. Don't bother going hunting, fishing, or camping. Don't get your hands dirty working on your own car or toilet. That's what the professionals are for. Once the SHTF, you'll easily be able to put all that theory you learned to work in real life. Getting actual experience before you need it is for suckers! 5) Don't worry about your health and fitness. Some 100-year old guy was interviewed on TV once, talking about smoking since he was nine and eating bacon every day. Obviously its all genetics and there is really nothing you can do anyway, Besides, when that asteroid falls own your head, you'll be dead no matter how healthy or fit you are. Now, go cut me another slice of that pie while I finish smoking this cigarette. 7) Be a lone wolf. Its just you, and maybe your wife and kids. No problem. That's all you need. I'm sure you'll be able to pull security 24/7/365 without any breaks. Who needs sleep anyway? And you'll never get sick, or hurt, or tired. Besides, you already know how to do everything yourself, no need for anyone else's knowledge, experience, or skills. This is a humorous look at some of the mistakes I have seen many preppers make over the years. I will follow up tomorrow with a more serious article on How to SUCCEED at Prepping. Imagine you are living on a backcountry homestead in 1850.What would the most important food and crop staple for you and your family? The answer might surprise you. It is not wheat. It is not corn. It is not beans or peas, or even tomatoes. The most important staple on homesteads during the 1800s are root crops: turnips, rutabagas, beets, parsnips, carrots, potatoes, onions, etc. Squashes, particularly winter squashes with their thicker skins, are probably the second most important staple on the 1800s homestead. The thick skins of winter squashes mean that they store very well in root cellars. Summer squashes, with their thinner skins, do not store well in root cellars, but can be pickled for long-term storage. Beans and peas are another popular 1800s homestead staple because they are a relatively reliable crop, highly productive, and easily dried for long-term storage. Seed-saving, important on the backcountry homestead, is also very easy with beans and peas (as well as squashes) which is another factor in their favor. Peppers are also a popular choice on the 1800s homestead. 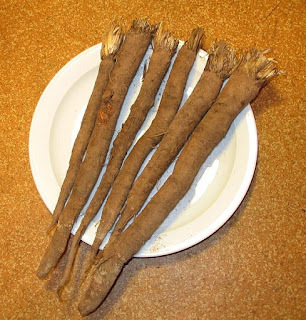 They can be dried for long-term storage, but more often are pickled. Larger-type peppers are often stuffed with cabbage, onions, and spices (similar to what we call relish today) and then pickled. Of course, a typical 1800s homestead also grows a wide variety of other crops, such as cabbages, tomatoes, and corn. However, the most important crop, the main staple, are root vegetables. 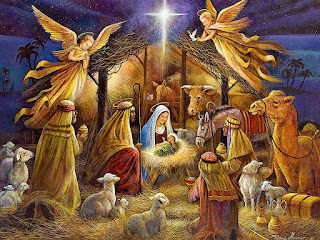 Most people know that Jesus was not actually born on December 25. The Bible does not give the exact date of His birth, but from the context of events it is most likely that Jesus was born during the summertime or early fall. December 25 was chosen as "Christmas" to celebrate the birth of Jesus around 354 AD. Prior to that, the birth of Jesus was celebrated by early Christians as the Feast of Epiphany, which corresponded to the Jewish Festival of Lights (Hanukkah). Epiphany was moved to December 25 because the Roman winter solstice holiday known as the Feast of the Invincible Sun was celebrated on that day. The Church decided to overtake and displace this pagan festival by moving the Epiphany celebration to December 25, and declaring that Jesus was "The Only Invincible One" and the "Sun of Justice." Heavenly Father, You are our refuge, our fortress. In You we find the courage and strength  and wisdom  we need to live and thrive and do your will in all things . You call us to live lives set apart from the worldly system of the Evil One. Have mercy on us and help us as we seek to live according to Your ways and Your Will. In Proverbs , Solomon teaches us that a wise man, a prudent man, foresees danger and prepares for it, while a worldly man, a foolish man, ignores danger and suffers the consequences. O Lord, help us to be wise, not worldly. Help us be prudent, not foolish. All wisdom flows from You, Father, so help us with our most important preparation for dangerous times: building a deep and abiding relationship with You. Give us a love for Your laws. Give us Your wisdom. Make the words of the Psalmist  ring true for us: Oh, how I love Your law! It is my meditation all the day. You, through Your commandments, make me wiser than my enemies; For they are ever with me. Paul teaches us that our bodies are the temple of the Holy Spirit. Help us to care for your temple properly, to keep it healthy and fit, both spiritually and physically. Help us to make wise moves financially, for Solomon teaches us that the borrower is slave to the lender,  therefore let us be enslaved to no one, so that we can live our lives for You unimpeded. Lord, You have also taught us the value of Charity,  to be a help to those who cannot help themselves - orphans, widows, the elderly, the disabled, and others in need. Help us to live wisely, so that in times of great need we are not in need ourselves, but therefore are able to provide generously to those who are in need. 11 - Matthew 5:3-12, Matthew 25:35, Acts 11:27-30, Et. al. ...But a Limited Nuclear Exchange is Possible. This article is, of course, speculation. But I believe it to be well-reasoned speculation, and give my reasoning for thinking so. You are free to do your own speculating. The main point of this article is to think about these possibilities in a rational, rather than emotional, way. 1) The aggressor nation will want to keep a significant portion of their nuclear arsenal in reserve to deter retaliation. For example, Russia would not want to exhaust its entire nuclear capability in an attack on the USA out of fear that China might try to take advantage of such a situation and attack Russia. Or to prevent a possible retaliation by NATO. But, you say, that NATO wouldn't come to the aid of the USA. Possibly not, but they may act preemptively to protect themselves from a clearly aggressive Russia in a world in which the USA has been defeated and no longer offers protection for Europe. 2) The aggressor nation would want to exploit the resources (land people, agriculture, energy, minerals, etc.) of the USA after the war, therefore will not want to reduce all of America to a radioactive no-go zone. Conquering and demilitarizing the USA makes much more strategic long-term sense for Russia or China than utterly destroying the USA. 3) The Russians and Chinese both know, like it or not, that the United States is still the world's largest economy, accounting for nearly 25% of the world's economy. To utterly destroy the US would create massive economic problems globally, including for Russia and China. Again, strategically, Russia or China would prefer the US remain mostly intact, although thoroughly declawed, after the war. But wouldn't the USA retaliate against any limited nuclear strike with an all-out nuclear attack against the aggressor nation? Probably not. The USA would not want to reduce either Russia or China to a radioactive no-go zone for similar reasons. Instead, the USA would likely respond to a limited strike with a limited strike of its own. Both sides would then turn to conventional warfare to win the conflict. Put emotions aside for a moment, and try to think from Russia's or China's point-of-view. You want to take out the USA as a world military power and turn it into a vassal state. You want the USA to remain mostly intact so that you can exploit its resources and finances. You would want to Avoid hitting any major financial centers (examples: New York, Charlotte, Chicago), major industrial cities (examples: Houston, St. Louis, Dallas), major seaports (large coastal cities), and any regions where there are resources you want to exploit (major agricultural or energy-producing regions). So, where would Russia or China consider hitting with tactical nukes? Major political and military command & control centers, as well as major communications infrastructure. Obviously, I have no inside information on what Russia or China plans to attack, but here is a list of places I think most likely to be targets, and why. 1) Washington, DC: A highly symbolic, as well as strategic, target. The political and governmental center of the United States. A nuclear strike would decimate most political and government leadership (the President and some other high ranking officials would likely survive). Also, a key military center (the Pentagon). 2) Peterson Air Force Base/Cheyenne Mountain/Colorado Springs, CO: The headquarters of NORAD, probably the second most important military center after the Pentagon, will be a certain target. 3) Various Other Military Bases. There are hundreds of military bases throughout the US of varying degrees of significance. Russia will not attack ALL of them, for the reasons given above, but may hit several of special significance,in addition to Peterson AFB. I won't hazard a guess as to which ones Russia or China will choose to hit, and would recommend not living very near any military base. How far away do you need to be? The farther away, the better, but it really depends on the size of the nuclear weapon used and the prevailing air currents. 4) Denver, CO: Big population (2.9 million in metro area), with few reasons for Russia or China to not target it (surprisingly, Denver is not really a major financial or industrial center). Also, Denver likely plays a major role in the US Continuity of Operations Plan (COOP) and/or the "Shadow Government," depending on how accurate certain conspiracy theories are. Both Iran and North Korea are working on nuclear weapons programs and developing ICBMs to deliver them. North Korea is farther along than Iran, and does already have the capability to hit South Korea, Japan, and Guam, and perhaps Hawaii and the west coast states. However, neither Iran or North Korea has, nor will have within the next few years, the ability to wage all-out nuclear war against the USA. Any strike by them will be limited in scope. Likewise, a non-state actor such as ISIS or Al-Qaeda could either make a "dirty bomb" or acquire a nuclear weapon on the black market (from North Korea, Pakistan, or one of the long-rumored "missing nukes" from the old USSR). Any attack form a rogue state pr a non-state actor, will be limited to one or two targets, but that is enough to potentially kill hundreds of thousands. Additionally, their attack would likely be motivated by religious extremism or irrational egomania (in the case of North Korea), and will choose a target of opportunity rather than any strategic or tactical considerations listed in this article. I submit that preppers and survivalists should consider planning for the aftermath of a limited nuclear war. I know many folks resist this idea because "if nukes are ever used, the whole world will be destroyed." However, that is emotional thinking based in fear, rather than a rational analysis of possibilities. In fact, a limited nuclear war is much more likely than an all-out nuclear war. And, as long as you are not in the blast zone or immediate fall-out area, it is survivable. Every few weeks or so, North Korea tests another nuclear device or ICBM. Each time they seem to make considerable progress with their nuclear weapons program. Each time, the USA (and Japan & South Korea) ratchet up the diplomatic & economic pressure, and make it clear that a nuclear North Korea is unacceptable. America in particular has stated that military action to stop North Korea's nuclear program will happen if it becomes necessary. So far, North Korea seems undeterred by these measures, and remains steadfast in its pursuit of an offense nuclear weapons program. No one wants a war with North Korea. A war on the Korean peninsula is hugely dangerous due to the close proximity of Seoul, a mega city with a population greater than New York, to a massive amount of North Korea artillery (Seoul is less than 40 miles from the North Korean border), as well as the close proximity to China (which considers the Korean peninsula to be firmly within the realm of their national interest). Any military action has the potential to lead to ten of thousands of civilian deaths, and to spiral out-of-control leading to a possible war with China (and possibly Russia). Of course, doing nothing and allowing North Korea to develop a nuclear weapons program could also have similar consequences. It depends on how much you trust Kim Jong-un to be an honorable world citizen after getting a nuclear program. Will there be war on the Korean peninsula at some point? If so, when? I don't know, but over the long-term I think it is more likely than not that events will lead to military confrontation at some point. As to when: I don't expect anything to happen until after the Winter Olympics are held in South Korea this February. So, any time after February is my guess. There is still time to prepare for a worst-case scenario (while praying for the best-case). 1) Bring home any family members that are overseas. If a world war should break out, or nuclear weapons be used even in a limited way, it may be months or even years before you will be able to reunite with family members who are overseas when hostilities break out. Bring home NOW any students studying abroad, or any other family members who are overseas for whatever reasons. Cancel any overseas vacations or trips for 2018. You can always go later if nothing happens. 2) Newbies: Start preparing now, if you haven't already. You have to to prepare, but get started soon. Don't know where to begin? Read my article A quick, no frills, down & dirty guide to preparing for the End, which will give you the basic outline, in less then 10 minutes, of what you need to be doing. Another good resource for general preparedness and survival is James Wesley Rawles' book How to Survive the End of the World as We Know It: Tactics, Techniques, and Technologies for Uncertain Times. 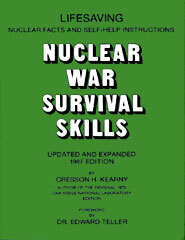 3) Advanced Preppers/Survivalists: The 1987 edition of Cresson H. Kearny's Nuclear War Survival Skills is available for FREE download at http://www.oism.org/nwss/. I list this as being "advanced" because folks need to be doing the basics of prepping first, before trying to prepare specifically for a nuclear war. In Chapter 13, Kearny gives a list of minimum preparations, including shelter, ventilation-cooling, water, fallout meter, food, sanitation, medicines, light, radio, and other essentials. You can read chapter 16 on my website, or preferably download the entire book for free from the above mentioned link. 4) Are you living in or near a likely nuclear target? For a variety of reasons, all-out nuclear war is extremely unlikely even if events spiral out-of-control and into World War III, but the limited use of nukes is a possibility. Carefully consider where you are living, and if there are any critical economic, political, or military targets nearby. Consider moving if you are near one. 5) Food and Water will be critical. You need to have plenty of stored food & water, and ideally the ability to produce even more. Our modern food distribution system is precariously balanced, and will likely collapse during and following a major world war. a) The best protection against radiation is space and mass. The further way from a nuclear blast you are, the safer you'll be. The more mass you have between you and a nuclear blast, the safer you'll be. b) Potassium Iodide Tablets offer some protection (not complete radiation protection), but you need to know how to use them properly. Find out now how to use them, and ONLY use them when absolutely necessary. Start with the CDC video Pharmaceutical Countermeasures for Radiation Emergencies – KI (Potassium Iodide). 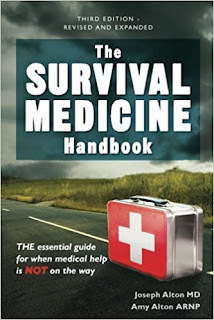 c) Dr. Joe and Amy Alton's excellent book, The Survival Medicine Handbook, has a chapter on Radiation Sickness. 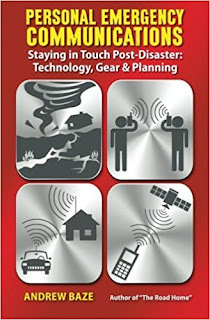 I HIGHLY recommend this book, and consider it a MUST HAVE for any serious prepper or survivalist. Prepping with a chronic illness has its own set of unique challenges, as I have learned the hard way over the last 2 ½ years. In 2015, I was diagnosed with Type II diabetes, as well as severe diabetic retinopathy (for which I have so far received 20 injections in my right eye and 17 in my left, plus three laser surgeries to seal leaking capillaries in my retinas). The purpose of this article isn't to talk about those health aspects (for that, see my 2015 article Dealing With Type II Diabetes), but rather to examine how chronic illness impacts prepping. 1) Time: Dealing with a chronic illness consumes a lot of time. Medical appointments, when you add in travel time and waiting room time, can easily take up half a day or more. And, with chronic illnesses, you have a lot of appointments. Proper time management and defining & following priorities is essential. 2) Money: Dealing with a chronic illness consumes a lot of money, even if you have insurance. And it is not just the money you shell out to the doctor or pharmacist, but you will likely have the expense of special foods, vitamins, or other supplies. (For example, with my almost monthly eye injections, I go through about $20 worth of over-the-counter eye drops every month.) Money is an issue for most people, but with the added expenses of a chronic illness, budgeting, planning, and careful shopping (use lists, compare prices, use coupons, avoid impulse purchases, etc.) is crucial. Please read my article Prepping 101: Finances - Get Back to Basics. 3) Energy/Mental Attitude: Dealing with a chronic illness is hugely distracting, and takes your focus off other aspects of your life (including your preps). Not to mention that the illness itself is likely zapping you of the energy you used to have. It can also cause worry, anxiety, and even depression. Try to stay upbeat. Lean on your relationships with God and your family. Don't be afraid to ask for help. See my article Prepper's Guide to Mental Health and Emotional Preparedness. 4) Lifestyle Changes: Dealing with a chronic illness typically requires making major lifestyle changes, such as changes in diet or physical activity, which must be reflected in your preps. You may also need to take into account specific medications and medical supplies related to your illness. You may be interested in my article Special Needs Prepping. There are many types of chronic illnesses, and even the same type of illness shared by two people may effect each one differently. You'll have to figure out for yourself how your illness effects you and what adjustments you'll need to make for yourself. To help you get started thinking through these issues in your life, here is the adjustments I have made in my life and preps. 1) A New Emphasize on Health and Fitness: Over the last two years, I've made major changes to my diet and lifestyle aimed at rebuilding my health and improving my fitness. Health and fitness is no longer an afterthought in my preparations, but is now a major foundation of my preparedness activities. Daily exercise is a must. And eating healthy is the goal of every meal and snack. This means that I have done a lot of research on what constitutes a healthy diet and lifestyle, especially for me as a diabetic. I've kept an extensive food & health journal, recording how individual foods, food combinations, exercise, and sleep effect my blood sugar, blood pressure, weight, and energy levels. Most importantly, I've put into practice what I have learned. 2) Changes in Food Storage: I've learned that my body cannot handle grains, even supposedly "healthy" grains like whole wheat bread, brown rice, and oatmeal. Even a small serving of these "healthy" grains cause huge spikes in my blood sugar. Problem: Storing large quantities of grains, pasta, flour, and sugar, as part of your food supplies is a prepper mainstay. But I can't eat bread, pasta, cereal, or sweets. Potatoes are another food that plays havoc with my blood sugar, so scratch dried and instant potatoes off my list of foods to stockpile. What to do? I have to store more of the foods I can eat. Luckily, beans have only a mild effect on my blood sugar, so I've been stocking up on those, both dried and in cans. But I have to watch the canned beans to avoid those that have a lot of added sugar! I've also been stocking up on other canned veggies, such as tomatoes, peas, carrots, spinach & other greens, and sauerkraut (fermented foods are very good for diabetics). But, again, I have to pay attention to the ingredients because many brands include lots of added sugar! I'm also increasing the amount of my canned meats, such as chicken, turkey, tuna, and salmon. Meats have no negative impact on blood sugar, as long as there is no added sugar of course. I don't use sugar anymore. I either eliminate sugar from recipes altogether, or use Stevia or small quantities of fruit or honey as a sweetener. So, I've been stocking up on Stevia and honey, instead of sugar. 3) Stockpiling Medicine & Medical Supplies: Fortunately, I am not on insulin, but do take a pill for my diabetes twice a day. Initially, I was prescribed a 30-day supply, but I talked to my doctor and got him to change it to a 90-day supply. You can talk to your doctor about prescribing a larger quantity of your medications. I Also, I've stocked up on several extra month's worth of blood test supplies (test strips, lancets, and alcohol prep pads). I've included a separate "blood sugar test kit" in my survival pack (BOB) with an extra test meter, test strips, lancets, and alcohol pads. 4) Some Other Adjustments: My distance vision relatively normal, but I still need strong reading glasses to read. I've stocked up on reading glasses, buying a dozen over-the-self pair in the magnification I currently use,. I've also purchased a few large magnifying glasses. In addition to keeping a pair of reading glasses on me at all times (now part of my EDC), I also have extras at my desk, in my vehicles, and in my survival pack (BOB). The treatments to restore my eyes are slowly working, but have left my eyes extremely sensitive to bright light. I cannot go outside or drive without sunglasses, and will sometimes wear sunglasses indoors if its very bright inside. So, I've stockpiled lots of extra sunglasses. I have extras at home, in my vehicles, and in my survival packs. Although I don't need large print books, as the reading glasses work just fine, I decided to purchase a large-print Bible just-in-case I need it later on... I might look into getting large-print editions of a few other books, too, for the same reason. I've also developed a new appreciation for audio books! Of Interest: These are the three main books I use in dealing with my diabetes, two of which were recommended by my doctor. 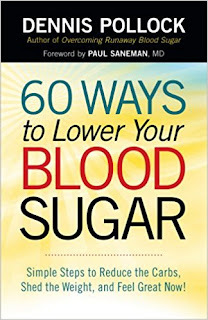 Of all the books I've read so far, the best and most useful is 60 Ways to Lower Your Blood Sugar by Dennis Pollock. Pollock's book is an aggressive plan to control your blood sugar by bringing together the best of traditional and alternative medicine. What I appreciate about Pollock's approach is that it is based on solid science, even the "alternative" aspects, and is not some hippy-dippy book that rejects science (avoid those). Also, his ideas are easy to follow. 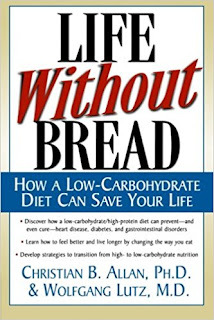 My doctor recommended the book Life Without Bread by Dr. Christian B. Allan, and Dr. Wolfgang Lutz. 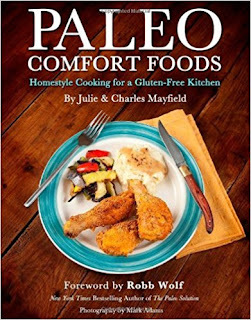 This book presents a low-carbohydrate diet (but one not as severe as the Atkin's Diet) as the best healthy diet for everyone, especially people dealing with high blood sugar. Right now, based on my own experiences and everything else I've read, I think they are right about their low-carbohydrate diet. This is the first in a series of articles I am planning on energy and resource efficiency. 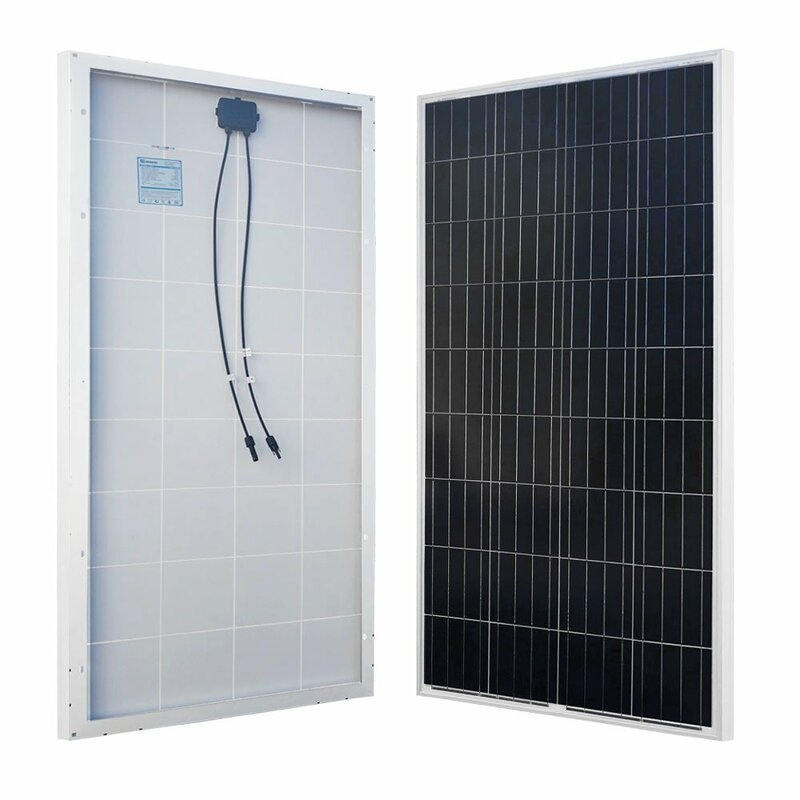 In addition to saving lots of money, energy and resource efficiency is a key component to self-sufficiency. The series, which I am calling Resource Miser, will run bi-weekly. 7. Filled in gaps where pipes & wires come into the house (kitchen, bathrooms, utility room) with a can of spray foam insulation. As a result of these repairs, I was able to reduce my home's energy use by about 60% on a monthly basis compared to the previous year. Please note that this was achieved without any change in lifestyle or personal behavior, but rather through energy efficiency only. The total cost of all this was about $6,800. Between the lower monthly energy bills and the tax credit for the new energy-efficient windows, the break even point on this investment was slightly less than three years. Since then, the significant monthly savings has been money in the bank. The really great thing is that electricity prices could literally double and my monthly power bill will still be lower than it was before these improvements. How is that for a hedge against inflation? I feel certain that most American homes, and businesses for that matter, could probably achieve similar energy savings by simply making their buildings more energy efficient. 1- CFL bulbs have gotten a bad rap in recent years due to their mercury content. The fact is that modern CFLs contain less than 30% the mercury contained in the CFLs that first came on the market. Unbroken, CFLs pose no mercury danger. And it would take 125 broken modern CFLs to equal the amount of mercury contained in that old thermometer that is probably sitting in your bathroom cabinet. 2- CFLs are also controversial because many governments are mandating their use. I am a free market guy, therefore I am against laws mandating their use. In a free market system, people should have choice in products they purchase. 3- Still don't want CFL's? Consider LED lighting. LED lights are more expensive , but dropping in price lately. And they are even more energy efficient than CFL's. You can't afford to prepare? Here are tings you can do for FREE! Have a discussion. Having a discussion and making plans with your spouse, kids, friends and relatives costs nothing. You need to make some decisions and plans before the SHTF, and make sure everyone involved is on the same page in knowing what to do. I suggest you start by reading my short article Disaster Planning: Understanding Potential Disasters. Then, consider your particular situation, circumstances, and concerns carefully. Discuss them with your spouse. Make written plans. Make lists of what you need to do or buy (when you have some extra money). Improve your finances. This will take some time and hard work, but it can be done. Many of the tips I give in my article Prepping 101: Finances - Get Back to Basics don't cost anything to do, and will help improve your finances greatly over time. Get on a budget or make out a spending plan. Avoid impulse purchases by using a shopping list and sticking to it. Cancel any unnecessary newspaper or magazine subscriptions. Use coupons, compare prices, and shop sales. Shop around to see if you can save money on your home or auto insurance, cell phone plans, etc. Consider cutting back on your cable or satellite TV subscriptions. Avoid overdraft or late payment fees by keeping close track of your spending and bills. Have a yard sale to raise some extra cash and declutter your house at the same time. Skip the late night snacks. You'll lose weight and save money at the same time. Eat healthier. This doesn't mean buying special health foods or more costly organic foods. Instead, it means eating less junk foods, fast foods, & sweets, and more veggies, especially leafy-greens and cruciferous vegetables (like broccoli and cauliflower). Go for a walk. Walking is great exercise. Try to start with a 15-minute walk each day, and over the next several weeks try to work your way up to 45-minutes tor even an hour. Walk around your neighborhood, in your local mall (great way to walk on a rainy day), or at local parks & greenways. Don't quit. The key to walking for fitness is consistency. Calisthenics are FREE. Stretching exercises and calisthenics are FREE. Jumping jacks, sit-ups, toe-touches, leg squats, push-ups, etc., require no special equipment and cost nothing. Putting together a survival or bug-out bag? Don't let a lack of money stop you. You don't need to buy a new backpack, which could easily run you $100+ for a high-quality heavy-duty bag with features like molle webbing. Those are great, but costly. Instead, make do with old backpacks, bookbags, duffel bags, or even tote bags. You likely already have some of these around your house. If not, ask your friends if they have any extras they are not using. As far as the gear you put inside, you don't need to buy brand new stuff. Make do with what you find around the house. For example, matches and lighters work just as well (actually, better) as celebrity-branded fire starters. VikingPreparedness (Pastor Joe Fox) has a YouTube video on making a quick, no-cost survival bag out of stuff found around the house. Store some extra water. Tap water works just fine. You may already have some water jugs & containers with your camping or picnic gear. Use them for your emergency water storage. If you don't, there are other FREE options such as using 2-liter soda bottles (ask friends to save you some if you don't drink soda). Glass wine bottles also work. I buy one or two 3-liter bottles of table wine every month or two anyway, so I've been saving the empty bottles (they have screw-on tops) and using them to store water. (If you do buy water storage containers, please avoid the Ozark Trail 6-gal water jugs, which are defective - see my article Prepper Alert! Defective Product Design). Use your library card. Libraries are a great source of FREE entertainment and FREE information. 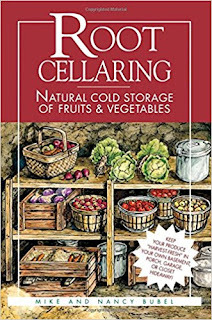 You can check out a wide range of books on gardening, canning, country skills, health & first aid, home improvement & DIY, fishing, hunting, nature field guides, edible wild plants, wilderness survival, personal finance, and so forth. Entertainment, too, can be had for FREE at your local library, and not just books to read. Many libraries today have DVDs, board games, puzzles, and other types of entertainment that you can check out for FREE, as well as story times for kids and lecture series for adults. Exploit FREE information from the web. If you are reading this, you're on the Internet anyway. There are a lot of great websites and YouTube channels full of useful information for you to read or watch. This website (www.TimGamble.com) is full of prepping, survival, and homesteading informationYou should also check out PrepperWebsite for daily links to the best prepper & survivalist articles on the web. Also, check out SurvivalBlog.com, the "Granddaddy" of all prepper/survival websites. There are, of course, lots of other great websites and You Tube channels for you to discover. You may also be interested in my article, 2017 Edition: FREE Resources for Preppers, Survivalists & Homesteaders. Work on your relationship with God. I believe in God, and that He can and does answer prayers. Perhaps non-religious folks will try dismiss that aspect of faith, but there are aspects you cannot dismiss. My faith, my relationship with God, provides me with great comfort, hope, peace, and joy. It relieves my anxiety and fear. It helps me stay calm and focused by providing me with inner strength, clearly defining my priorities, and providing an ethical framework for my decision making. All these are extremely useful benefits during times times of high stress, confusion, and turmoil. Even the most non-religious among us must recognize the importance of a good mental attitude to surviving difficult times. I suggest praying and reading the Bible daily. Not sure about God? Check out the website Peace with God, by the Billy Graham Evangelistic Association. 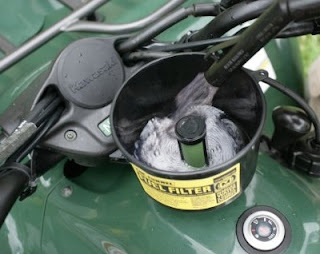 An extremely important, but often overlooked, piece of gear everyone should have in their bug-out vehicle is a portable fuel filter, such as the Mr. Funnel portable fuel filters. Portable fuel filters remove water, dirt, and other debris from gasoline and diesel, thereby protecting the engine from harm. (They can also be used to filter kerosene, propane, and heating oil.) Clean fuel is extremely important for your vehicle (and tractor, and generator, and so forth). Why would you need to use a portable fuel filter? At least three reasons come to mind: 1) In a bug-out situation you may be filling up using gas stored in five-gallon cans (or other storage tanks), which may have developed water issues due to condensation build-up (any air space inside the gas can will allow condensation, even if you are using additives such Sta-Bil). 2) You may be filling up at unfamiliar gas stations that you simply don't know the quality of the fuel. 3) Or, particularly in a slow collapse scenario, the quality of available gasoline may become "spotty" even with brands/stations that you are familiar with, as the infrastructure slowly deteriorates. 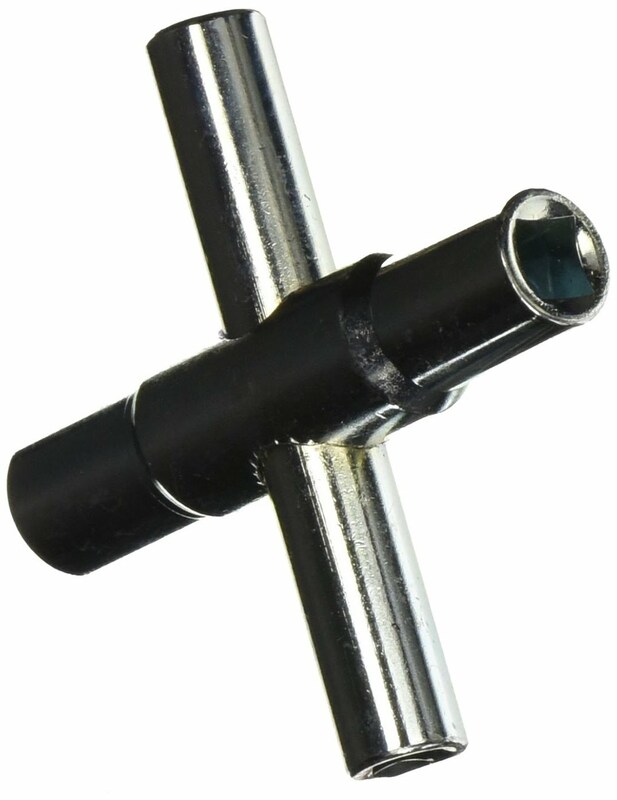 Portable fuel filters come in multiple sizes with different flow rates (examples: the AF1CB filter has a flow rate of up to 2.5 gallons per minute, and the larger AF15CB filter has a flow rate of up to 15 gallons per minute). Smaller fuel filters, with slower flow rates (1 or 2 gallons per minute) are less expensive and work best for smaller quantities, such as filtering the gas going into a lawn mower or small tractor. The larger filters with higher flow rates are more expensive but work better for fueling a vehicle with a large gas tank. For example, my Nissan Pathfinder has an 18 gallon tank. 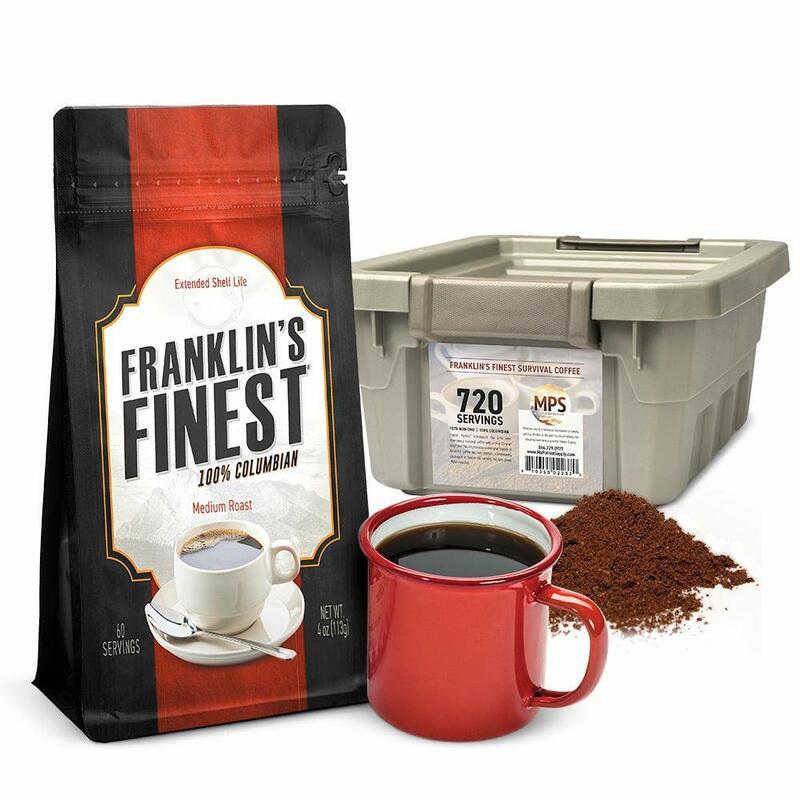 A small filter with a 2.5 gallon flow rate would take more than seven minutes for a fill-up. However, a larger filter with a 15 gallon flow rate would only take a little over a minute. Note: Don't cross contaminate. Use a separate portable fuel filter for each type of fuel. In other words, have separate filters for gasoline, diesel, heating oil, kerosene, and propane.